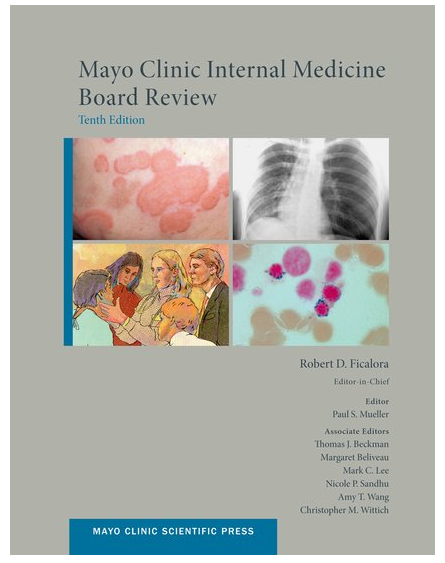 The Mayo Clinic Internal Medicine Board Review, 10th edition book, published by Oxford University Press, was developed as a comprehensive review guide specifically for those preparing for the ABIM Internal Medicine Board Exam. Edited by Dr. Amit Ghosh, this approximately 800 page book is used by residents and internists, both as a reference tool and a book for internal medicine board review. 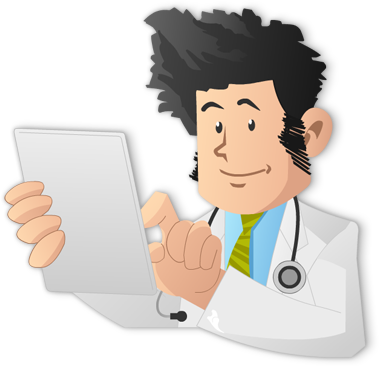 The Mayo Clinic Internal Medicine Board Review is a great resource for Medical Students, Residents, and Internists. The information is up-to-date and the editor has done a great job bringing all the pieces together. The book is well-written, thorough and comprehensive for board review. The authors have done an excellent job of ensuring the information is properly cited throughout the book. The use of images and tables in this book is also fantastic! The book is extremely high-yield and we could certainly see someone highlighting much of the book. After complaints of the size of the previous edition book (~1,000 pages), this book has been redesigned, updated and condensed slightly 801 pages. The biggest reason for the reduction is size is that this book no longer contains questions & answers. The 168-page Mayo Clinic Board Review Questions and Answers book can be purchased separately (currently $40.22 on Amazon). The book is now much more user friendly than the previous version and the long chapters have been broken into smaller sections. If you are a text reader and can get through this book – we applaud you! If you can retain the information – by all means, this is a wonderful book! However due to its size and small font, we would almost categorize this more as a reference book that can be bought early in residency or post residency as a reference resource. While not as comprehensive as Harrison’s Principles of Internal Medicine, this is still a significant amount of text to digest and effectively retain for the ABIM Internal Medicine Board Exam.